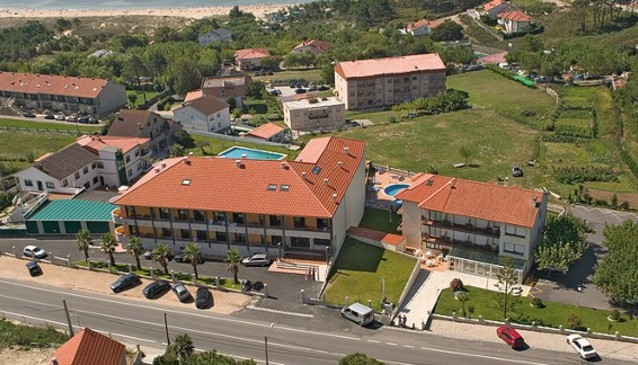 Oca Apartmentos Atlantico comprise of two buildings just 200 metres from Montalvo beach in Sanxenxo. There are 26 apartments available to rent for a minimum of a week. 4 are for 2-4 people and 22 for 4-6 people. The flats are fully furnished and decorated and include bedrooms, kitchen/dinning room and bathroom. They are all equipped with all lutensils including cutlery, telephone,bed clothes,fridge,micowave,iron,coffee maker,TV,heating and terrace.